If you didn't personally live through the 1970s, it’s easy to make assumptions. You probably picture everyone dressed in bell bottoms, their shirts unbuttoned down to their navels, and their perfectly coiffed shag haircuts not budging as they boogie-woogied all night long at the local discotheque. 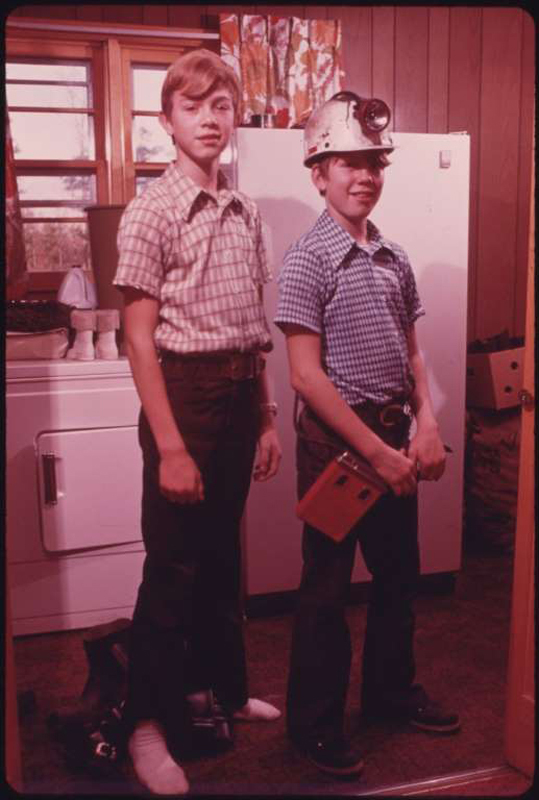 That may be partly true (especially the bell bottoms), but it’s by no means the full picture. Those of us who came of age in the grooviest decade in history have memories that run deeper than Donna Summer and bad fashion. And we also have some serious '70s nostalgia. When George Lucas’ sci-fi soap opera first hit movie theaters in 1977, it was unlike anything the world had ever seen. If you ask anyone who saw Star Wars in the theaters about the experience, they’ll be able to tell you every little detail, right down to how long they waited in line. For a ’70s kid, it’s easy to get goosebumps just thinking about it. 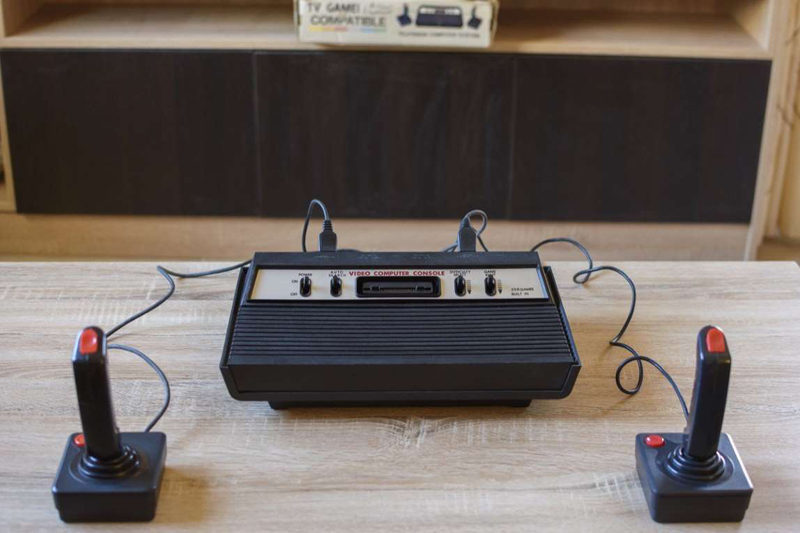 It looks downright antiquated today, but any child of the ’70s is nostalgic for Pong. That’s because this video game, which was released by Atari in 1972, was one of the first of its kind. And it was literally a game changer.It was meant to be a computerized version of table tennis, but it was basically just a white dot slowly bouncing back and forth between two white lines (AKA the paddles). The distinctive sounds of a Pong game can still hypnotize a former ’70s kid. 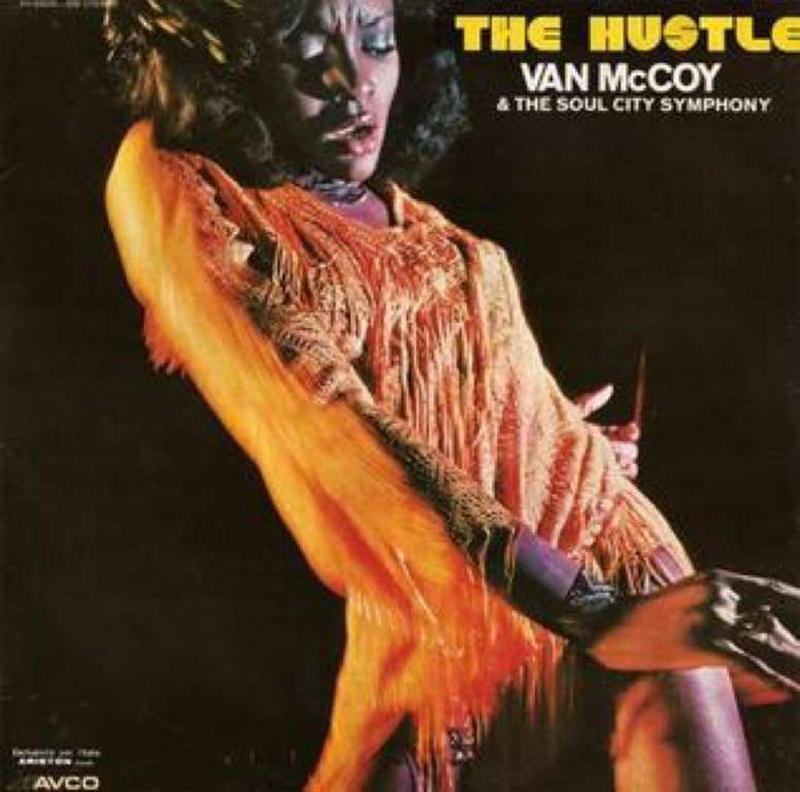 Before there was “The Macarena” or even “The Chicken Dance,” there was “The Hustle.” When Van McCoy implored us in his 1975 hit to “Do the Hustle,” we all knew we had to learn this dance or we’d be left behind. 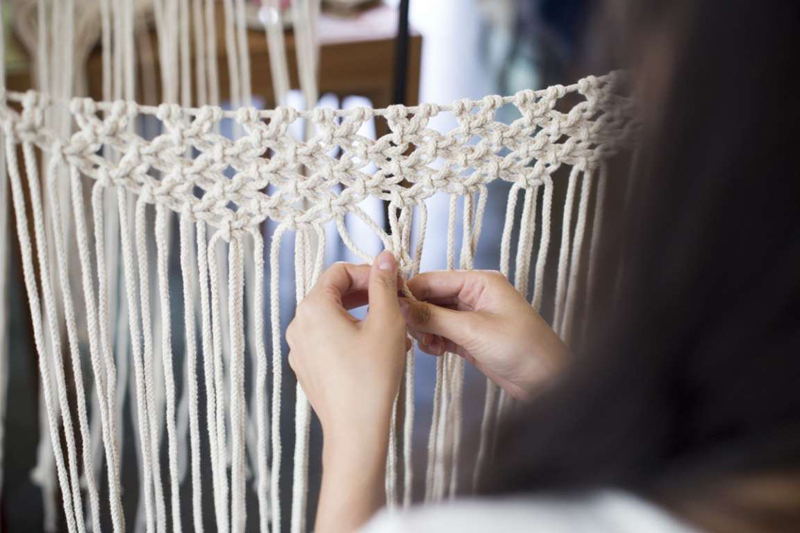 What wasn’t made of macramé in the ’70s? From plant holders to vests to belts, macramé was a staple in households across America. 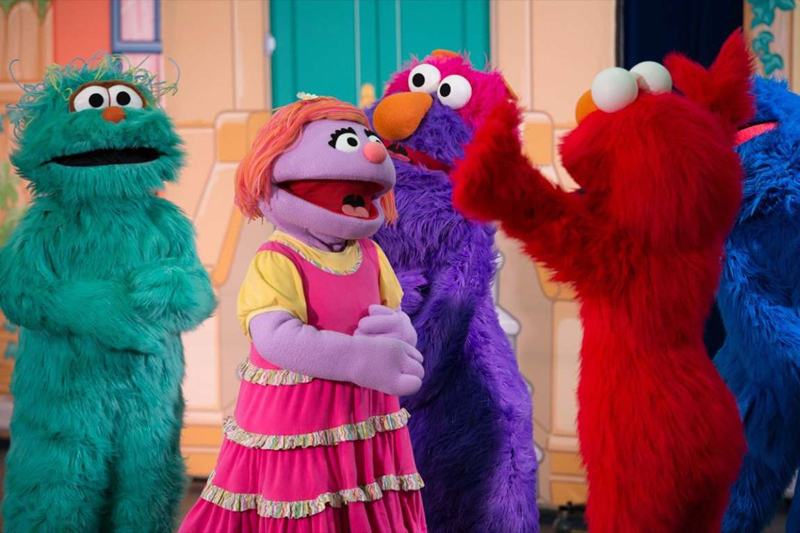 Every child born in the past 50 years was likely influenced by Sesame Street. 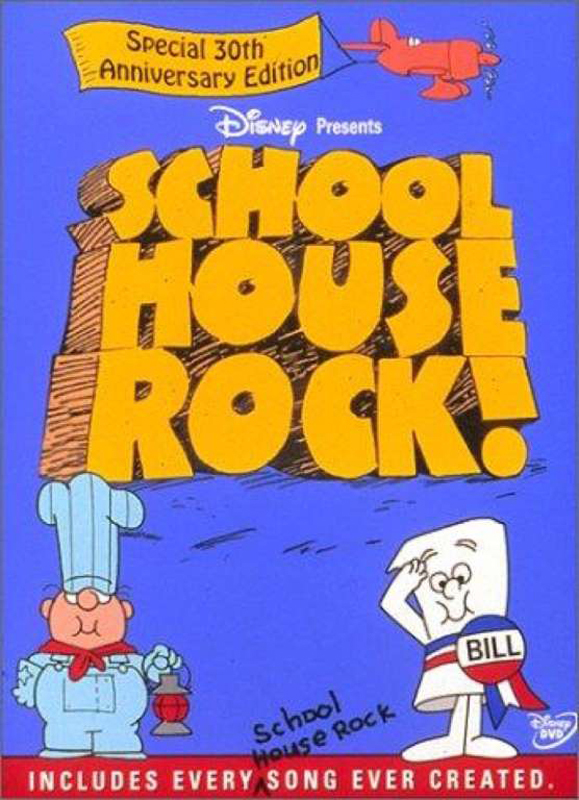 But for ’70s kids, who grew up with the PBS series that launched in 1969, it was a revelation. It’s when we first fell in love with Kermit the Frog, Grover, and Bert & Ernie, who taught us everything we needed to know growing up. 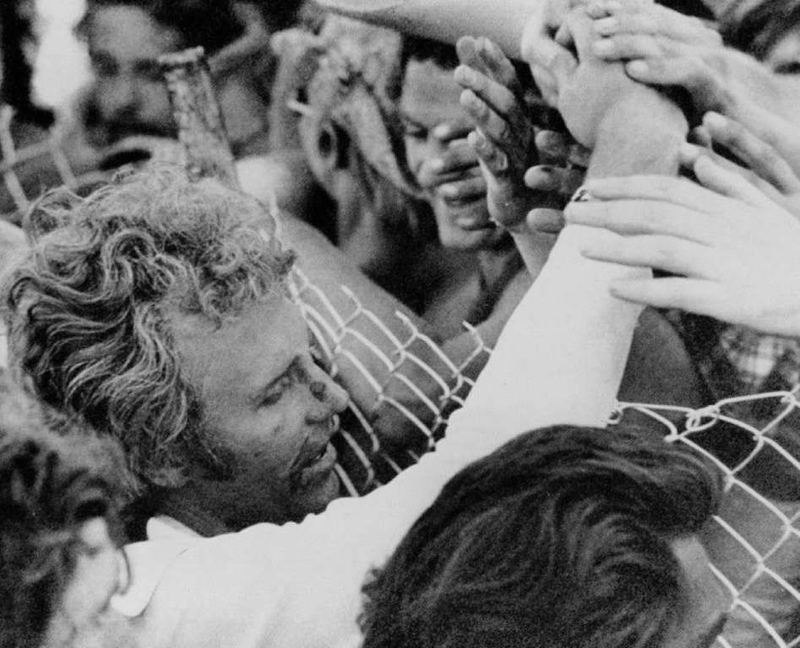 Evel Knievel built his own rocket in an attempt to make it over the Snake River Canyon in Idaho. But his parachute opened too soon and he floated to the bottom of the canyon after the nearly historic 1974 jump. (Luckily, he survived. )To the kids watching at home, it didn’t matter that he didn’t make it. What mattered is that he looked cool doing it. Just looking at his action figure and stunt cycle, which we bought in droves, is sure to set off your ’70s nostalgia. 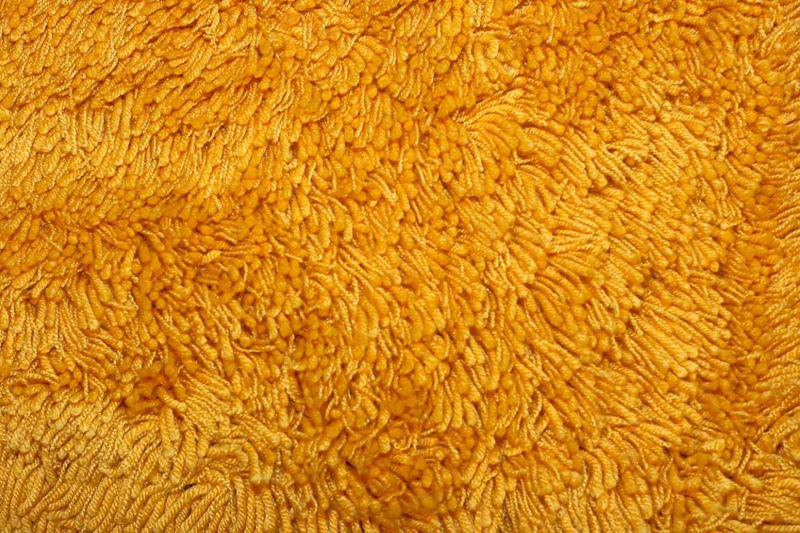 Shag carpets looked hideous, like you were living on the back of a gigantic muppet. But they were also surprisingly cozy on bare feet. The material was so luxurious on our toes that it made an entire generation immune to embarrassment of its heinous appearance. If we weren’t old enough to stay up late and watch Saturday Night Live, which launched in 1975, we had older brothers and sisters who did. And we’d beg them to recount every hilarious moment for us on Sunday morning. It all sounded so rebellious and cool, even if we didn’t always understand all the jokes. 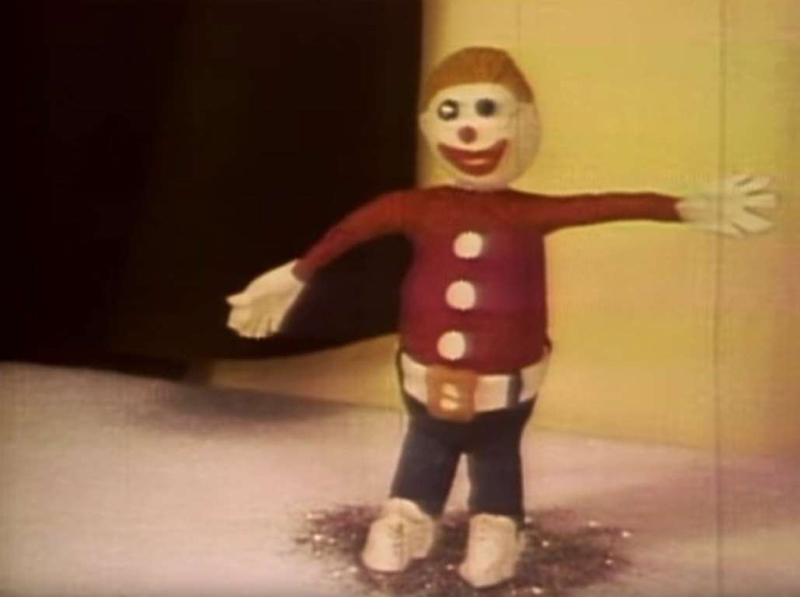 If nothing else, the merciless torture of a clay figure named Mr. Bill felt like the most brilliant bit we’d ever heard. “The Hustle” was hardly the only iconic dance to come out of the ’70s. 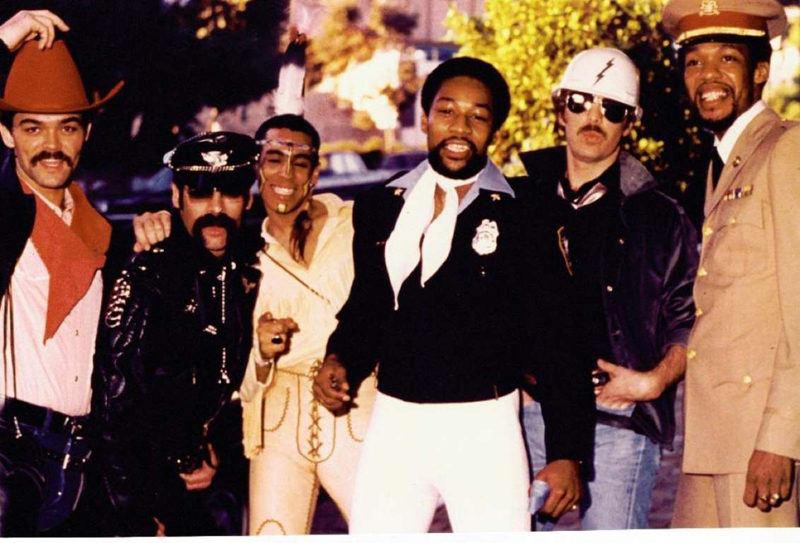 You can immediately tell if somebody came of age during the decade by whether or not they reflexively spell out the letters “Y,” “M,” “C,” and “A” with their arms whenever this song Village People is played. You know the one. The image of soon-to-be Charlie’s Angels star Farrah Fawcett in her red bathing suit is absolutely iconic and it’s the epitome of ’70s nostalgia. The poster sold more than five million copies, making it the best-selling poster of all time. These days, we store our contacts’ names and their emails, addresses, and numbers on our phones, so we never have to memorize anything. But back in the ’70s, phone numbers mattered. 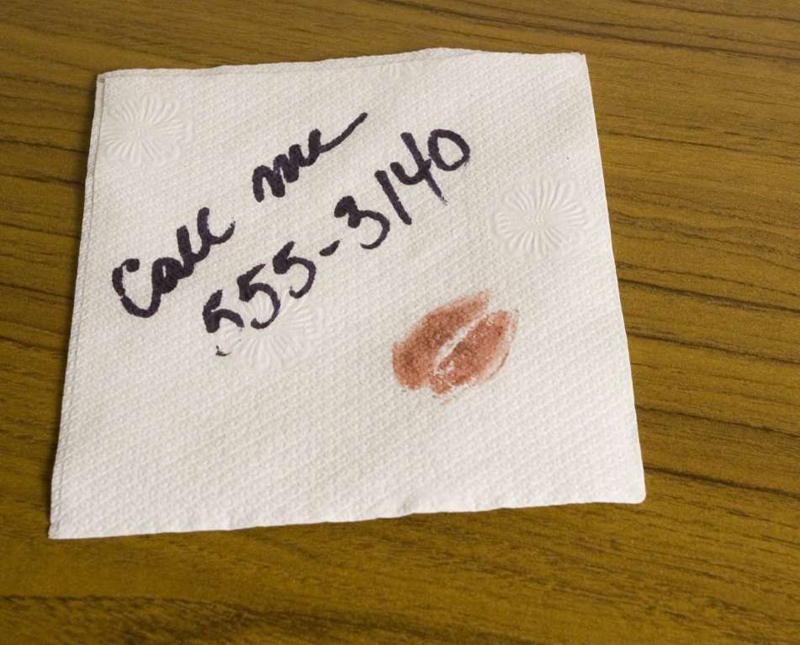 If your phone number was easy to remember (i.e. it had lots of repetitive digits) or didn’t involve too many 9s (which were a pain to dial on a rotary phone), you were instantly higher on the social hierarchy. 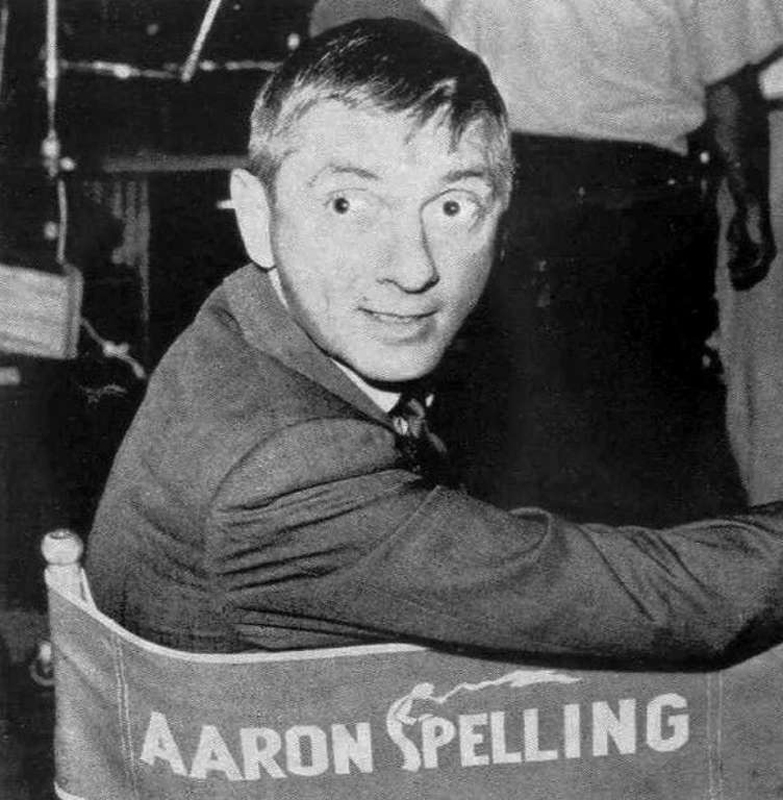 From Charlie’s Angels to Fantasy Island, and Love Boat to Starsky & Hutch, any TV show produced by Aaron Spelling was going to be a hit in the 1970s. We watched his shows like we were going to be tested on them later. Where else could we see adults wearing short-shorts and making questionable life choices? Sure, grown-ups behaved irresponsibly in real life too, but it was more entertaining on TV. 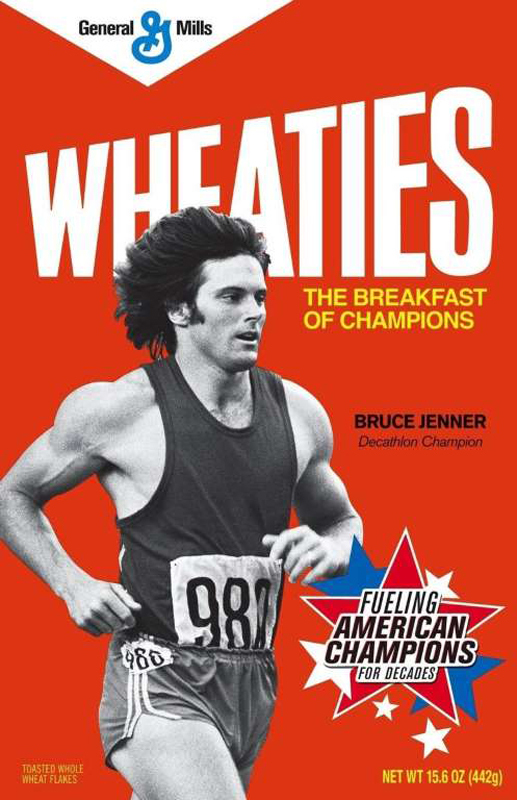 In the 1970s, we ate Wheaties as if every spoonful might actually transform us into decathlon champions. That was all thanks to Olympic athlete Caitlyn Jenner. In her legendary 1978 commercial for Wheaties, she said, “I put in a lot of years and put away a lot of Wheaties. Because a complete breakfast with Wheaties is good tasting, and good for you.” That was all the convincing we needed. 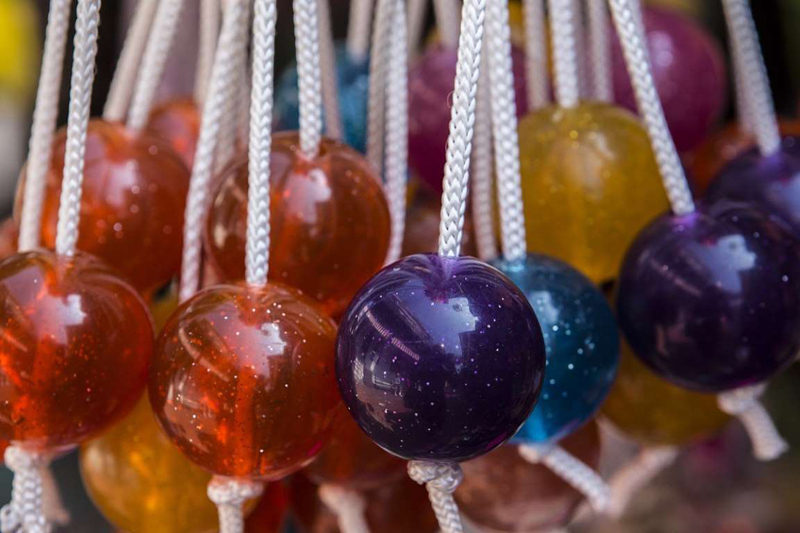 What’s surprising isn’t that ’70s kids loved this toy, which was just two heavy acrylic balls attached to string that we banged together as hard as we could. It’s that it took adults years before somebody said: “I’ve noticed there’s a lot of shrapnel when these clacker balls break.” In 1976, the government deemed clackers a “mechanical hazard” and they were taken off toy store shelves. 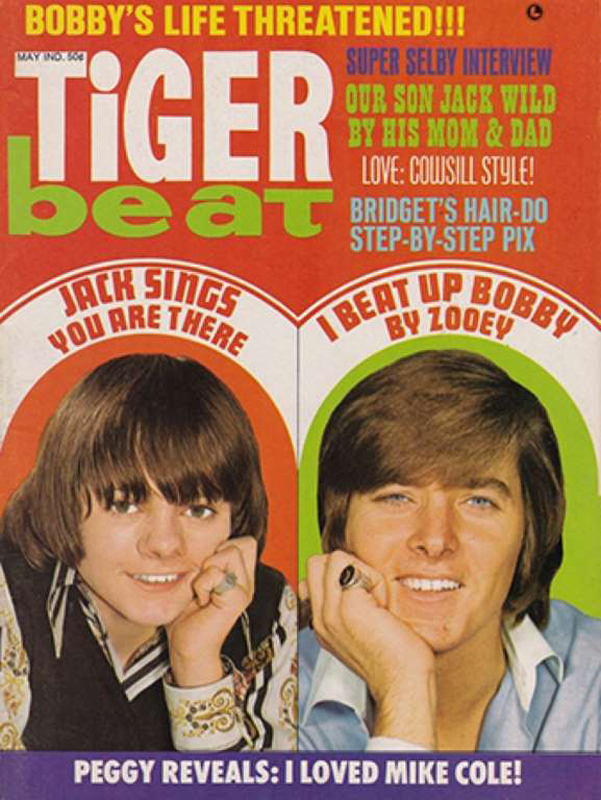 With investigative reports like “Leif Garrett: What you DON’T know about him” and “Donny & Marie: Too busy for Love?”, Tiger Beat provided the news every kid needed. The magazine also came with free posters. So with one issue of Tiger Beat, you could gain a shirtless poster of Shaun Cassidy and tons of knowledge about his scandalous secrets. What could be better? 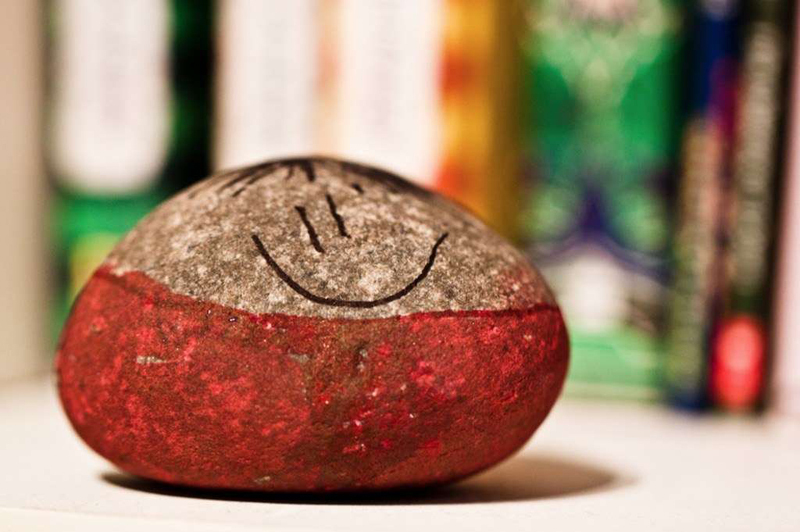 In the ’70s, we begged our parents for $4 so that we could buy… a rock. A pet rock, no less. Sure, this makes it sound like ’70s kids were the victims of the biggest con in history. But we have no regrets. We got to feed our rocks and take them for walks and even clean up after them, just like a real pet. Call us fools if you must, but we loved our pet rocks. Ah, the ’70s. They really were simpler times. All it took was one seriously terrifying movie—Steven Spielberg’s 1975 shark fright fest Jaws—and we couldn’t so much as dip a toe in the ocean. 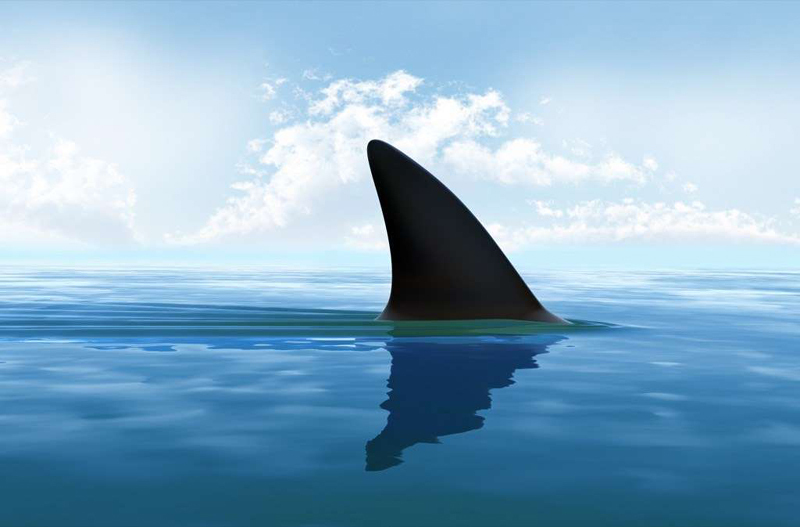 All of us ’70s kids would scan the water for signs of a shark fin, hearing da-dum, da-dum, da-dum da-dum da-dum da-dum daaaaaaaa in our heads as we did. 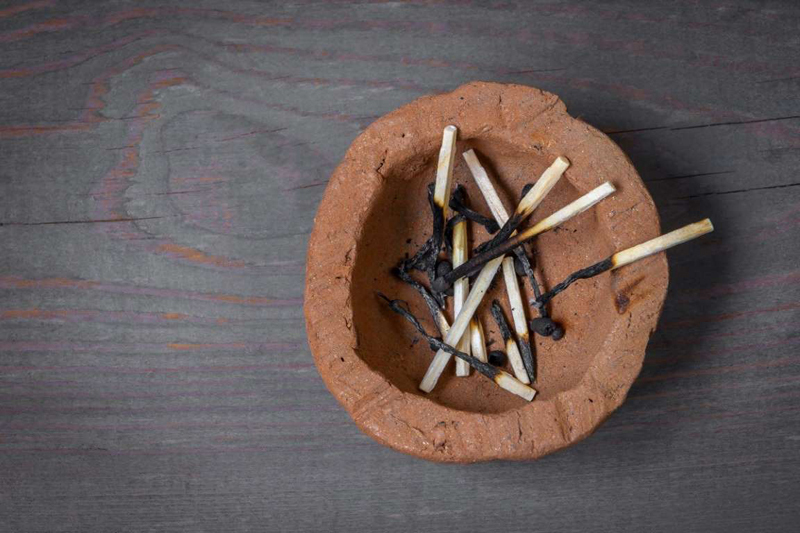 When ’70s kids did ceramics during art class, there was one project that every single one of us did at least once: We made ashtrays. 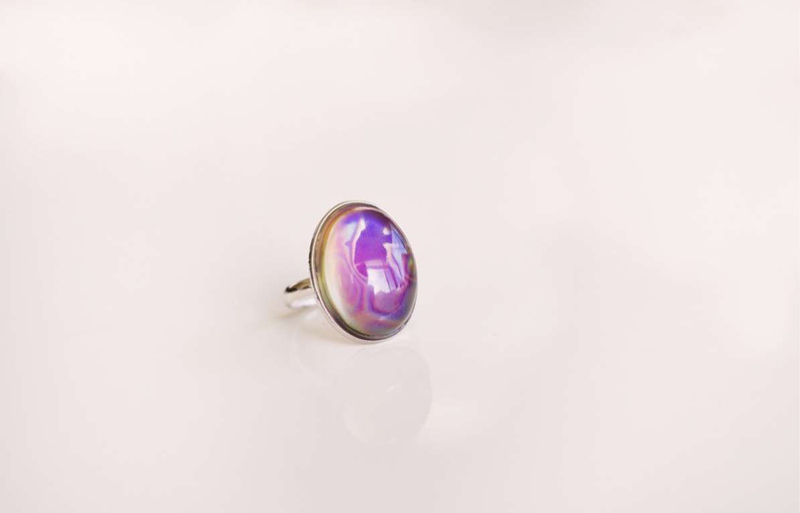 They were the perfect gifts… or so we told ourselves. It’s possible that even chain-smoking parents weren’t crazy about ashtrays that looked like a sickly jellyfish made out of clay. But we were pretty proud of ourselves. No self-respecting ’70s kid would ever walk out for gym class without wearing tube socks, preferably a pair long enough to reach their knees. We all suffered the same delusion that tube socks made us look athletic and not incredibly silly. At least we weren’t alone. Everyone from Farrah Fawcett to Kareem-Abdul Jabbar made a very convincing case that tube socks were cool. These Playskool dolls were designed to help us ’70s kids practice how to use buttons, snaps, zippers, and ties. Dressy Bessy looked like she’d soon be hitching a ride to Woodstock and Dapper Dan looked like someone who drove a van that reeked of patchouli. But they still made learning fun. 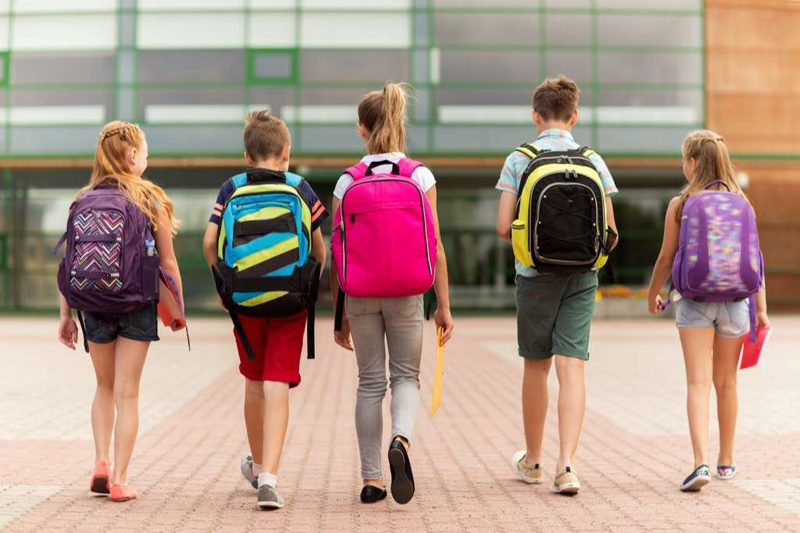 There used to be a time when grandparents could brag about their youth by saying, “When I was your age, we’d walk to school both ways, uphill and in the snow, and sometimes we didn’t have shoes!” But if a grandparent told that same story today, the reaction would be, “Wait a minute, you walked to school… by yourself?! Oh come on, that never happened!” It really did though—we ’70s kids can attest. 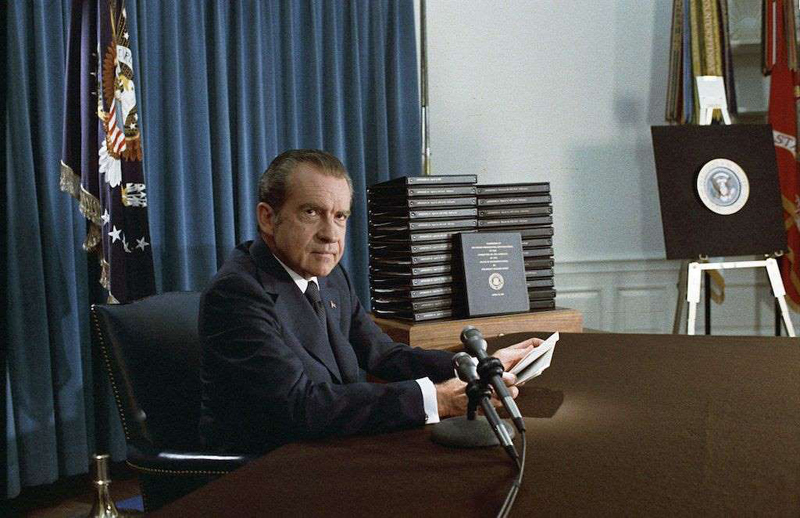 Who can forget that day in 1974 when President Richard Nixon left the White House, flashed the victory sign, and got in a helicopter to fly away? 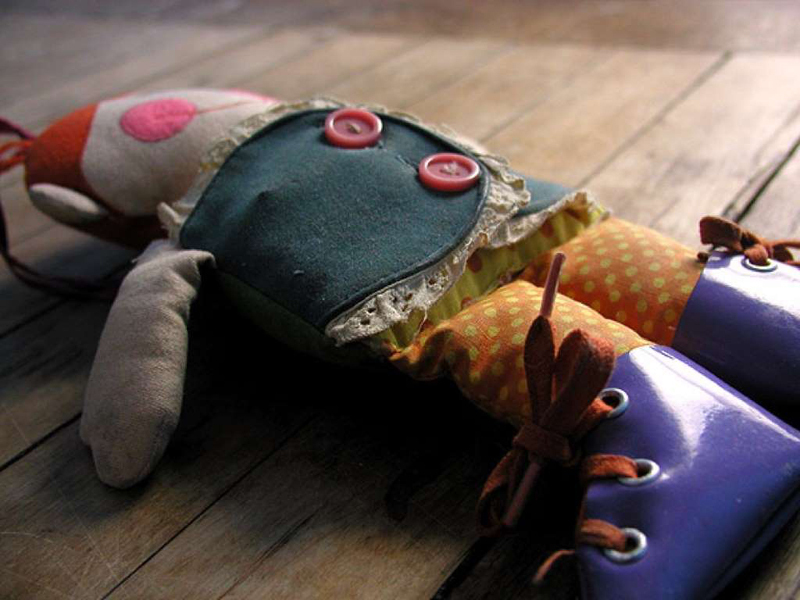 Our parents seemed stunned and even as kids, we knew something was amiss. The president was… quitting? Wait, can he do that? Many adults were unsure how to answer our questions, but we knew something huge happened that day. Kids didn’t tune in to the sitcom Happy Days because they were nostalgic about the ’50s. They did it to see the Fonz, the coolest character on TV. All across the country, kids would be practicing their Fonzie thumbs up and saying “Ayyyy” with just the right Henry Winkler inflection. 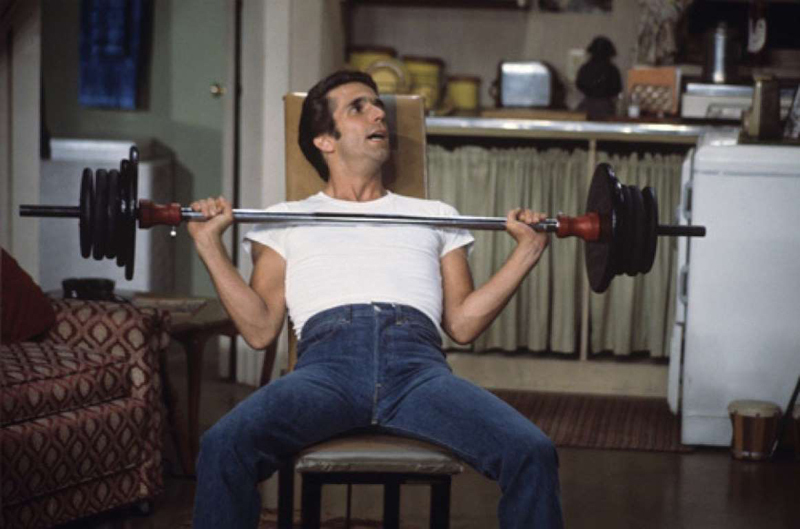 And thanks to the Fonz, “sit on it” became a popular way of insulting someone, even though most of us had no idea what we were actually saying. 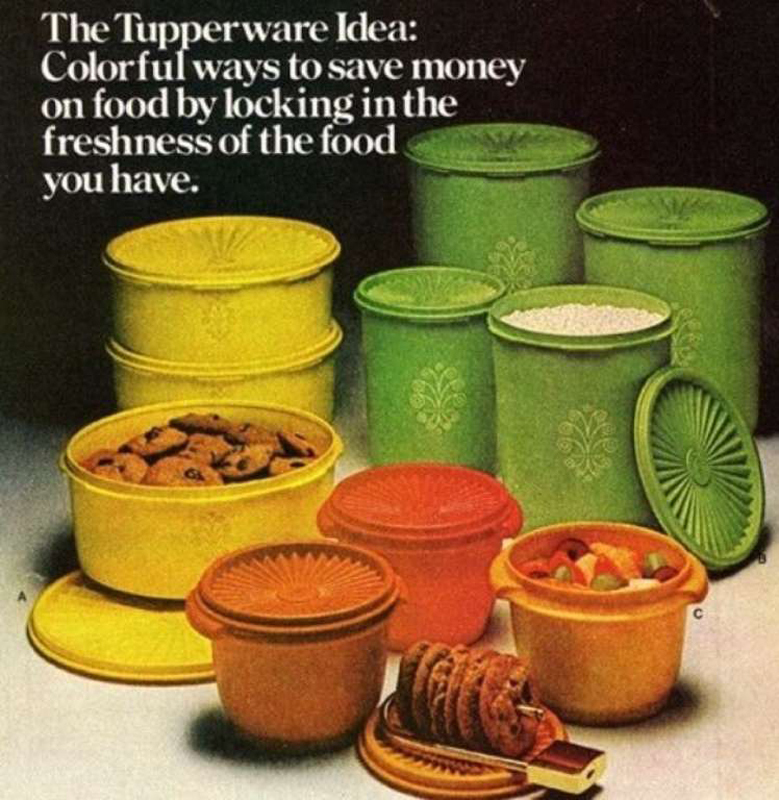 Of course, people still use Tupperware today, but it’s nothing like it was in the ’70s. Our Tupperware was colorful and bold, something that you actually wanted to show off when you opened your lunch at school.The generation before us even had Tupperware parties to sell these much sought-after storage containers. In the 1970s, you’d have an easier time walking into somebody’s house and stealing a lamp than leaving with their Tupperware. Seriously, we loved it that much. 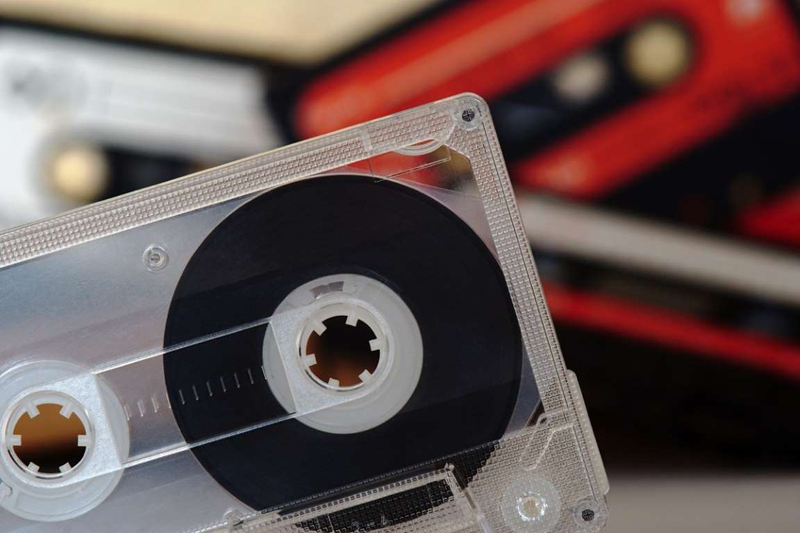 Nobody liked 8-track tapes—they were just all we had at the time to record music in the 1970s. They were incredibly complicated, with four “programs” instead of sides. You had to toggle from program to program and, well, suffice it to say it was hugely annoying and clunky. Even when the technology went out of favor, some cars still had 8-track players as their main audio format. It was the worst thing you could find when getting into a car. Why did we need collars so long and pointy they could have taken out an eye? Adults had a hard time pulling off this fashion blunder, but kids never stood a chance. Ask anybody who grew up in the ’70s to see a grade school photo, and they’ll likely present you with an image of a kid who looks like he’s on the guest list at Studio 54’s playground. Jaws was hardly the only movie to scare ’70s kids. The decade has actually been called “the golden age of the disaster movie,” and with good reason. 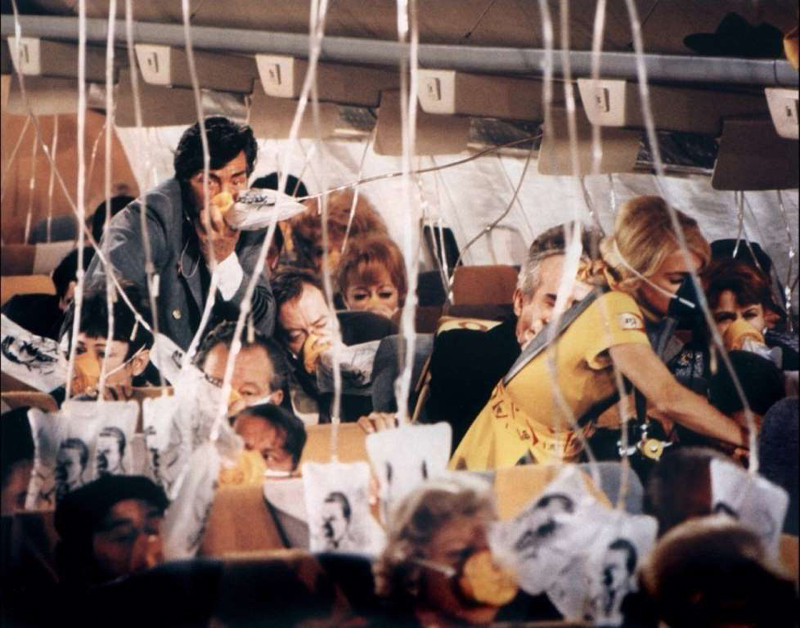 The ’70s brought us hair-raising epics like Airport, Earthquake, The Towering Inferno, Avalanche, Hurricane, The Poseidon Adventure, Tidal Wave, Meteor, and The Cassandra Crossing. If you watched enough movies during the ’70s, you could be forgiven for thinking planet was in constant danger of being destroyed at any moment. 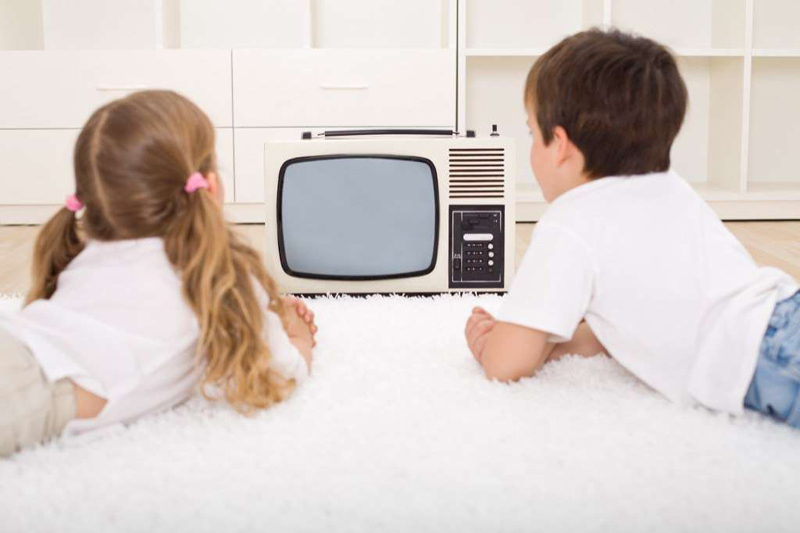 Television wasn’t available 24/7 during our childhood. At around 1 or 2 a.m., most TV stations signed off for the night, playing “The Star Spangled Banner” before leaving us with a test card of color bars. Anyone suffering from insomnia didn’t have a lot of options in those days.